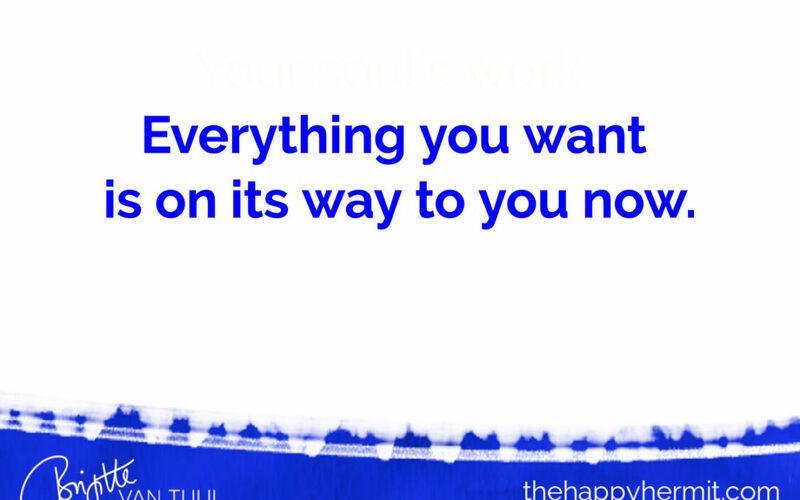 Everything you want is on its way to you now. What if you assumed this to be true today, and every day? What if you repeated ‘Everything I want is on its way to me now’ every time you worried about something? Instead of going down the rabbit hole of negative thinking and talking yourself into a mild depression or anxiety attack before anything ‘bad’ has even happened yet? What if, instead of nodding your head and thinking that it might be a good idea to try this some day, you actually started doing this NOW? The truth is, that you have NO idea what’s on its way to you. You don’t know it until it’s actually manifested. So why not ASSUME it’s what you want? Why not ASSUME it’s something wonderful? Why not ASSUME it’s something that contributes to your highest good? Why would you ASSUME it’s something bad or something you don’t want? How does that help you? How does that serve you? What good does that do you NOW or at any given time in the future? Everything you want is on its way to you. You don’t know when it will come or how it will come or what it will look like exactly. You’ll see it when it’s there. And until it’s there, believe it is coming – because it is. And enjoy the feeling of it being on its way to you – if only because that makes you feel good right now. Welcome it with open arms!